Richard J. Drake has long been a well-known attorney in the Hudson Valley, retiring in January 2015 after more than fifty years in practice. Together with his partners, he went on to build two of the most respected law firms in the area - including the present Drake Loeb PLLC. James R. Loeb, who still actively practices with the firm, was notably his business partner for more than thirty-five years. While at Drake Loeb PLLC, he mentored many associates and partners, teaching them the "ins and outs" of the lending business, title law, corporate transactions, and, most importantly, how to be an effective negotiator for their clients. Drake Loeb PLLC operates under the principle that it is important to support the community in which you live and practice. Mr. Drake lived that principle throughout his career and ensured that his partners and associates understood the importance of supporting organizations likewise committed to the community and the surrounding areas. It is a tradition that the attorneys at Drake Loeb PLLC continue today. 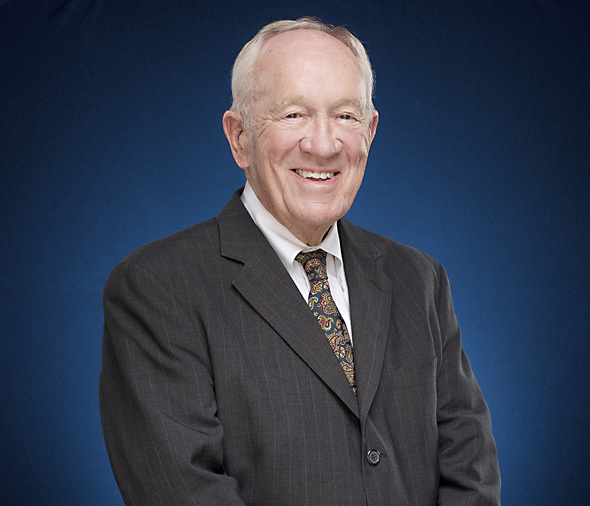 Currently, Mr. Drake still serves as a member of the Board of Directors of the Kaplan Charitable Foundation and the Geraldine & Warner Refuge Foundation; he is a past member and Chairman of the Board of Trustees of St. Luke's Cornwall Hospital and a past member and Chairman of the St. Luke’s Cornwall Health System Board. He served as a member and Chairman of the Committee on Character and Fitness, Second Department, Ninth Judicial District, which body interviews and reviews the credentials of aspiring attorneys and makes a recommendation on whether or not the individuals should be admitted to the New York State Bar. He also served as a member of the Independent Judicial Election Qualification Commission, Ninth Judicial District, which body reviews applications for election to the New York State judicial offices. This web site constitutes Attorney Advertising. It has been prepared for advertising and informational purposes only and should not be construed as legal advice. The material posted on this web site is not intended to nor does it create a lawyer-client relationship, and readers should not act upon it without seeking professional counsel. Prior results do not guarantee a similar outcome.